I decided it was time for an update. In addition to the new look I plan to add some new content pages. Once I get the appearance established, I’ll start on those pages. Thanks for your patience as I work my way through the set up process. Comments are always welcome. Whether you see something you like, or something that just doesn’t work, please let me know. 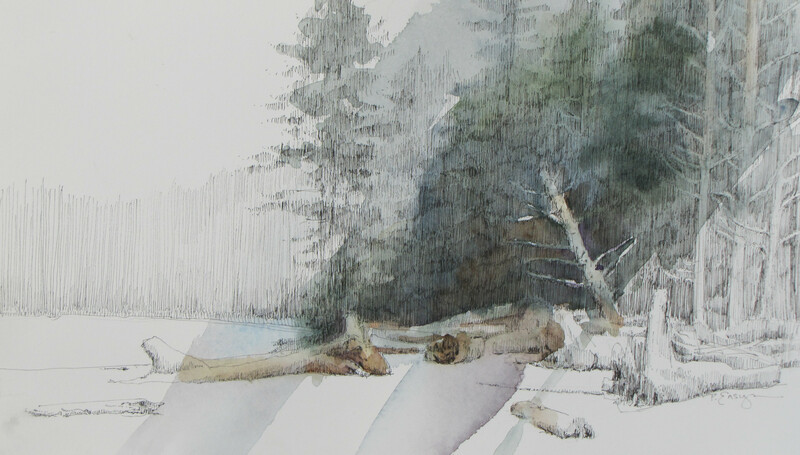 Since every post needs an image, here’s another drawing from the Olympic Peninsula. This was drawn on location at Rialto Beach just as the fog was heading into shore. By the time the drawing was complete, only the foreground driftwood and beach was visible.